Do have an itch to move? It comes out of nowhere. One day you’re living life like normal, the next you’re seriously thinking about moving to Seattle. And it’s perfectly normal. 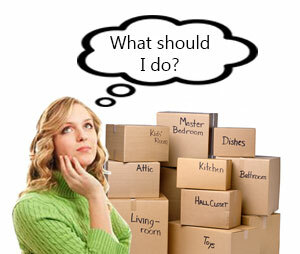 Of the tens of thousands of people who move each year, many of them simply want to move somewhere new. However, even they don’t just move on a whim. Where the idea to move was spontaneous, you still need to explore it before you actually act on it. This means learning about the place you’e thinking about moving to and determining whether it’s right for you. The first step is to learn a bit about the place you’re thinking about moving to. Spend a few hours simply researching it to make sure it matches up to your needs and desires. After you do your preliminary research, you should have a much better idea about whether the place is right for you. If it is, then you can start seriously looking into moving there. Visiting is a great way to confirm your desire to move somewhere, especially if you’ve never actually been there before. It allows you to get a feel for the place and experience what your day-to-day life would be like there. Don’t sightsee – You don’t visit tourist attractions when you live somewhere, so don’t do it when you’re visiting a place you’re thinking about moving to. Focus on daily routine – You won’t know where you’ll live exactly, but get a feel for public transit, if you expect to use it, or for the neighborhood you expect to live in, or the city sector you think you’ll work in. Eat at restaurants, and check out the shopping options for groceries and other essentials. Talk to people – The best way to learn about a place is to talk to people who live there. While visiting, try to spark conversation with locals. Also, contemplate trying to set a lunch date with someone who works in your industry. After you visit and/or do the necessary research, hopefully you will be far more comfortable and knowledgable about your decision. In that case, it’s time for the moving checklist.